Born in a family of scholars and men of letters, Abdul Hai Habibi, from his early childhood, took a keen interest in literature and history and embarked on a career of self-education from an early age even though his father died when he was only 5 years old. By the time he was 15 he had mastered the Arabic language and had divulged himself in Dari (Persian) and Pashto literature. During his early life Habibi travelled to different parts of the country in search of old books and manuscripts. This search led to the finding of the manuscripts, Memoirs of Saints in Helmand province and The Hidden Treasure written by Mohammad Hotak in 1728 in the city of Kandahar. The Hidden Treasure hands down to posterity Pashto poetry of a thousand years and illustrates the work of eloquent Pashto poets and poetesses. In his quest Habibi not only found ancient manuscripts but he also learned about the language, culture and traditions of the people resulting in the writing of over a hundred books and a plethora of papers and articles on the literature, linguistics, etymology, grammar, historical geography and history of the people of Afghanistan. A prolific writer, Habibi’s works are multi-faceted and he undertook the deciphering of ancient inscriptions in Greek, Kharoshti, Armani, Pahlavi, Avestan, Sanskrit and Arabic scripts. Professor Habibi continued with his quest for knowledge throughout his life and prior to his death he wrote a treatise on the Shahnama of Firdowsi, written during the 10th century. This booklet entitled, Discovery of the Shahnama Before the Mongol Period, is a description of an ancient copy of the Shahnama written in 1217, and stored in the National Library in Florence, Italy, may be the oldest available copy of the book. Mullah Babarr Musakhel Kakar’s family resided in the Bamezo street of Kandahar city during the reign of king Ahmad Shah Baba. Mullah Babarr, who was from the Musakhel clan of Upper Zhobe, came to Kandahar around 1737. He was a famous teacher, a revered scholar of Islamic studies and a profound intellectual. From historical documents it is evident that his son, Mullah Faizullah, was a scholar in the court of King Ahmad Shah and was a teacher of Shah Wali, the prime minister of the court. He wrote scholarly works in Pashto, Dari and Arabic and was a poet and astute writer. He authored a textbook for his son, Habibullah, wrote a book on Piety and the Tahqeq-al-Tawbah (Research on Repentance) booklet in Arabic. An exemplary sample of his Pashto poetry is in our possession. Maulawi Habibullah, son of Mullah Faizullah Akhundzada, was known in scholarly circles as the Kandahari intellectual. He studied in Afghanistan, India and Iran and was a scholar in sciences as well as a literary figure. He wrote books on religious sciences, ethics, philosophy, logic, geometry, mathematics, and astronomy in Pashto, Dari and Arabic. He left behind several outstanding works in the Arabic language. He died in 1846 in the city of Kandahar. His son, Maulawi Abdul Rahim Akhundzada, was also a revered scholar and was the teacher of prince Abdullah, son of King Amir Sher Ali Khan. In 1880 when Amir Abdul Rahman conquered Kandahar he executed Maulawi Abdul Rahim in the Kerqa mosque with his sword. His son, Abdul Haq, was an earnest scholar in his own right. Professor Habibi was born in this learned family and was named Abdul Hai. He is the son of Mullah Abdul Haq and was born on Thursday 28 April, 1910. The early death of his father left Habibi to grow under the care of his mother. Like other members of his family Habibi was absorbed in his studies from an early age. His education started in the mosques of Kandahar city. Afghanistan attained its independence from Britain in 1919 and it was during this period that schools were established in different parts of the country. Habibi joined the Shalamar primary school and at the age of 11 and at 15 was accepted as a teacher in the same primary school in Kandahar. Beside his learning experience at school Habibi studied books which were left behind by his father. His father’s library contained collections of Seraj-al-Akhbar of Mahmud Tarzi and Calcutta’s Hub-ul-Mutayen newspaper. From his youth he avidly studied the Masnavi (spiritual poetry) of Maulana Jalaluddin Balkhi, the divan of Khwaja Hafez and Saadi’s collection of poems, Gulistan and Bostan. During this time he took lessons in mathematics, Islamic studies, grammar, logic and the style of poetry writing from his elder cousin, Maulawi Abdul Wasa’e. His cousin was a keen scholar and versatile writer in his own right and a fiery orator. He participated in the writing of laws for the government of the time. When Habibullah, famous as Bacha-e Saqao (son of water carrier), took over the reigns of government in 1929, he executed Abdul Wasa’e by blowing him with a cannon. The late Maulawi Abdul Wasa’e had a short and precise method of teaching and within one year he was able to train Habibi in various subjects. Habibi’s other teacher was Maulawi Abulwafa Kandahari, who taught at the Nezamia Madrassa of Dakan in India. This learned personality lived in the Habibi family mosque at the time. He was also a erudite and Habibi learned literary and writing skills from this cultured teacher. At the time when Habibi was studying Euclidean sciences and Socrate’s philosophy he was also engaged in the study of sciences such as geography, biology, mathematics and physics. He also avidly read the Kawa, Iran Shahr, Armaghan and Al-Hellal literary journals. Habibi continued with his studies when he started working and in his early career he learned English and Urdu and studied books in these languages. He mastered how to conduct historical research from Cambridge History of India, and by studying the works of Indian and Egyptian scholars such as Jarji Zaidan, Shebli Neghmani and Sayed Suleiman Nadwi, the Kawa journal of Berlin and the beneficial works of Mohammad Qazwini. Bestowed with intelligence, a keen student of arts and sciences, and always on the lookout for knowledge, Abdul Hai adopted Habibi as his family name, which means progeny of Habibi and is linked to the name of his great grandfather, Habibullah Kandahari. Habibi became a versatile writer and keen scholar and wrote many books and several hundred articles and was considered an eminent researcher in the region. At the age of 15 Habibi was appointed as teacher in the primary school he attended. He continued teaching for three years at the school. At 32 he once again had the opportunity to teach and this time it was in the capacity of founder of the College of Letters at Kabul University. It was a time when the college did not have a proper academic program nor good teachers. Beside undertaking the administrative responsibilities of the newly established college and expanding it he wrote the first history of Pashto literature to be used as a teaching aid in the college. He managed to elevate the college into an academic institution of high standard and his book on the history of Pashto literature is still used as a text at the college until this day. This book is also part of the curriculum of the Pashto branch of Peshawar University. Once again when Habibi was in his fifties he had the privilege to teach at the university. This time it was to to start the masters degree program at the College of Letters at Kabul University which began in 1978. It was a new program and Habibi shouldered the responsibility to get the syllabus started. During his career as a teacher and professor Habibi managed to train hundreds of students who managed to embark on their own successful careers. Journalism was another facet of Habibi’s literary life. In 1927 he became the deputy editor of Toloo-e Afghan weekly newspaper which was established in 1921, three years after Afghanistan attained its independence. He had studied journalistic writing from Seraj-al-Akhbar and other local and foreign newspapers and started learning journalism from Baba Abdulaziz, the editor of the newspaper at the time. During the dark Habibullah (Seqao) period Baba Aziz was sick and Habibi practically ran the paper. His triumph in running the paper successfully resulted in his appointment as its editor in 1931. On the orders of the administrative chief of Kandahar, Mohammad Gul Mohmand, all articles of the paper were published in Pashto a year later. Toloo-e Afghan thus became the first Pashto newspaper in the country. Habibi remained the editor of the newspaper for ten years and brought many changes to it. In 1940 Habibi was appointed as the head of Pashto Academy. He undertook the responsibility to run the Kabul Annual also and introduced new vistas to the journal and elevated its scholastic standard. It was during this time that all articles of the journal were written in Pashto and it was recognized as an outstanding Pashto journal. In 1950 when Habibi went to live in Pakistan he continued his journalistic work and authored revolutionary articles in the Azad Afghanistan (Free Afghanistan) weekly newspaper in Pashto and Dari. Through his writings he hoisted the voice of freedom of the oppressed people of the country, revealed and disgraced the precarious policies of the rulers of the time. Exposed the treason which had been committed against the Afghan nation through historical evidence and analyzed the political and national uprisings of the Afghans. From 1955 to 1959 Habibi also published a large number of articles in Dari language in Saroosh magazine on the literature and history of Afghanistan. Upon his return to Afghanistan in 1961 Habibi once again embarked on his journalistic career and in 1966 when he was appointed as president of the Afghan Historical Society he undertook the publication of Ariana Journal. He edited the journal and wrote historical articles for it. This career lasted for five years during which time the journal attained an outstanding standard of excellence. Habibi thus remained a journalist from an early age to his retirement, contributing and elevating the standard of journalism in Afghanistan. During his tenure as the editor of Toloo-e Afghan, beside writing news features and editorials for the newspaper, Habibi also wrote poetry, stories, novels and dramas for the paper. Habibi was the first person to embark on such a journalistic venture in an Afghan newspaper. He started writing interesting literary pieces, translated Les Miserables novel of Victor Hugo, and introduced a new style of poetry with a creative format. He continued writing literary pieces. This work has been collected into three volumes and he is considered the founder of contemporary literature in Afghanistan. He wrote poetry in Pashto and Dari and translated poetic pieces from Arabic, English and Urdu. Most of his poetic works appeared in Toloo-e Afghan, Kabul Magazine, Azad Afghanistan, Saroosh and Ariana journal. His poetic collections are Melee Pusarlay (National Spring), Paygam-e Shahid (The Martyr’s Message), Ghazni, Dard-e Dil (Lament of the Heart), Payam-e Asr (Call of the Time) and Khalili Nama. His interest with poetry was so profound that even on his last day of life, when he was gravely ill, he translated an Arabic poem to Dari. As a linguist Habibi endeavored to work on material which would allow people to learn the Pashto language. He participated in a panel established to provide material for teaching the language. This effort led to the publication of The Pashto Teacher in 1933. Five years later he wrote a treatise on Pashto phrases which discussed the use of phrases and how proper words can be added to the language. In 1939 he wrote a ten thousand words Pashto dictionary, in collaboration with Lal Mohammad Kakar, entitled Pure Pashto. Habibi also wrote a detailed introduction on the grammar and vocabulary of the language. In 1963 Habibi compiled a detailed study of the Surkh Kotal inscription of Baghlan province under the name of Mother of Dari Language. He analyzed the words of the inscription written in Greek script on the basis of linguistic analysis and discovered that the language had affinities both to Dari and Pashto. Pashto in Light of History and Vocabulary is another book written in 1968 which describes the characteristics of Pashto language by means of linguistics. The Position of Pashto Literature Among the People and Civilizations of Central Asia is an exciting research paper which Habibi presented at the Pashto Research Center Seminar in 1966 which took place in Kabul. In his paper Habibi suggested that Pashto is neither directly linked to the Indian or Iranian languages but is a link between these families of languages. He presented historical and linguistic reasons for his hypothesis. Professor Habibi had a deep knowledge of the old languages of Afghanistan and the region. He studied the available literature of Avesta, Sanskrit, Pahlavi and Old Persian and discussed the usage of these languages and other languages spoken in the region in his papers and writings. Through his research Habibi opened new avenues of research in the languages and clarified ambiguous issues which had remained unresolved. During his youth while Habibi worked as editor of Toloo-e Afghan newspaper, he was also engaged as a literary critic and started preparing critical works on classic Pashto literature. In 1935 he started writing the History of Pashto Literature. This work serves as the basis of research on the subject until the present time. Two years later he published the nearly 1000 page divan (collection of poetry) of Khushal Khan Khattak with the limited press resources which were available in Kandahar at the time. He wrote a detailed critical study of Khushal Khan’s life and poetry in the introduction of the book. A year later he published the divan of Abdul Qader Khan, son of Khushal Khan. When he came to Kabul he authored the History of Pashto Methodology which was published in Kabul Annual in 1940 and a year later he published the divan of Ahmad Shah Baba together with a critical introduction. This was followed by Pashtun Poets, a treatise which introduces us to 100 old Pashto poets. It was written at a time when old memoirs such as The Hidden Treasure had not been discovered. He also studied world literature and wrote a book on the subject. Through his tireless efforts in search of old manuscripts, Habibi, found several pages of Tazkerat-al-Awlia (Memoirs of Saints) of Suleiman Mako, in an old mosque in Helmand which he initially published in Kabul Annual in 1940 and a year later in Pashtun Poets and as a separate paper in 1982. He then came across the manuscript of Pata Khazana (The Hidden Treasure) of Mohammad Hotak in Quetta and managed to publish it in 1944 together with a detailed introduction, research on rare words and a Dari translation. Through his research he wrote the History of Pashto Literature in two volumes which has been published several times. He also prepared the book in a concise form to be taught at the College of Literature at Kabul University. The study of Islamic, Khorasani and Afghan Sufism (the inner, mystical dimension of Islam) was another aspect of Habibi’s life. He studied books and papers on Sufism and prepared and edited a number of books on the subject including Tabakt-al-Sufia and Sad Maidan of Khwaja Abdullah Ansari, and Sharh-e Baitain Masnavi. He also wrote an extensive introduction to Pir Roshan Bayazid’s Khair-al-Bayan. Moreover, he wrote a book on Sufism and several articles on the subject which represent his deep understanding of Islamic and Eastern Sufism. His writings on Sufism were used in classes at Kabul University also. Habibi had a deep knowledge of Afghan folklore and culture. He has written analytical articles on folk literature, analyzed and evaluated the foundations of Pashtun attitudes and did extensive research on literature and history of folklore resulting in a plethora of articles on Afghan culture and traditions. Afghanistan in the Cultural Movements of Central Asia is a treatise which was discovered among Habibi’s works and was published in 2002 by the Alama Habibi Research Center. Celebrated Abdali Personalities After Ahmad Shah is an important work on the period following the death of this great Pashtun leader. It was published in Kabul Annual in 1942. The History of Afghanistan During the Indian Koragani Period introduces Afghanistan under Koragani administration. This historical work was compiled in 1944 and published by the Afghan Historical Society in 1963. Tabakat-e Naseri, the celebrated work of Qazi Menhaj Seraj Jouzjani with comments and annotations by Habibi. This book has been published twice. Forgotten Pashto Historians. Describes the work and life of 50 past historians of the country. The Ludhi ruling family of Multan in Urdu. Provides information on the Ludhi family who ruled during the 16th century. History of Afghanistan After Islam. This 1000 pages treatise deals with the political, administrative, social, economic and intellectual state of the people during the first two centuries after Islam. Pashto and the Loyaks of Ghazni is another important research on the literature and history of the Ghaznavid era and provides information on Pashto spoken during the Ghorid time. History of the Disintegration of Royalty in Afghanistan is a historical masterpiece which Habibi was unable to publish while he was alive. It was finally published in 2001 by the Alama Habibi Research Center. A Short History of Afghanistan, published in two volumes. This book is a descriptive history starting during the pre-historic period and takes us to the 20th century. Guide to the History of Afghanistan. Provides information on books and publications on the history of the country. Gazette of the Historical Events of Afghanistan. Provides information on major events of historical importance from pre-historic times to 1980. Zahiruddin Mohammad Babar, a description of the life and works of the founder of the Mughul dynasty in India. A Histroy of the Style of Pashto Poetry describes the literary style of Pashto poets. A History of Pastho Poetry, an analysis of Pashto poetry was first published in 1934 as a series of articles in Toloo-e Afghan newspaper. It was published in 2012 as a book. The Constitutional Movement of Afghanistan provides a historical insight into the lives of those who have been struggling for a constitutional movement in the country. The History of Writing and Old Manuscripts in Afghanistan provides a description of writings in different scripts used in the region for the past 3000 years. In short Habibi was an expert on historical matters. His work on the Islamic period of Afghanistan is outstanding and he was able to bring to the limelight many new and secretive historical facts. Habibi also made important contributions in the field of historical geography of Afghanistan. He was able to discern the geographical boundaries of each period and dynasty and through his deep knowledge of linguistics managed to unravel important geographical names and boundaries. He wrote numerous articles on the subject, edited and corrected numerous books dealing with historical geography. Zeranj and Its Historical Account, and Historical Geography of Afghanistan are two of his books on the subject. Zein-al-Akhbar Gardezi, is an ancient book which Habibi edited, annotated and published for the first time in the 1960s. The recognition, study and evaluation of historical books was another hobby of this scholar. He was always on the lookout to find old texts which he tirelessly studied and researched resulting in the extraction of critical and impactful information from them. As an example, while studying an old text of valuable work of Sakhi Sarwar, he came upon an old couplet of the Khaljia Pashto language by means of which he was able to discover the historical royal family of Loyaks of Ghazni resulting in the writing of Pashto and Loyaks of Ghazni. The analysis of the couplet sheds light on Pashto which was spoken during the 9th century. Among the books worthy of mentioning in this field are Guide to the History of Afghanistan and the Art of the Temurid Period and Dari manuscripts such as Fazayl-e Balkh, Sewad-e Azam and Rawza-al-Farikein. Habibi had familiarized himself deeply with contemporary political dogma, had studied the trends of political movements of the past five decades and acquainted himself with the political history of the region. He presented various trends in the historical awakening of political thought in Afghanistan through his articles in Azad Afghanistan, which was published in Peshawar in the early 1950s. His keen interest in politics led him to divulge into political activity. In 1947 when a national political movement, Weish Zalmyan (Enlightened Youth) was started, Habibi also became involved in political activity. In order to serve the people of Kandahar he was elected as a member of the People’s Assembly of the Afghan parliament in 1948 by the citizens of Kandahar. As a member of parliament he embarked on a fiery campaign against the ruling class of the time and wished for a quick and thorough political change for the people of the country. As an outspoken activist for the cause of nationalist aspirations he had a heated argument in parliament with the prime minister of the time, Shah Mahmud Khan. After this incident the government contemplated to arrest him and his life was in danger. The ruling class set up a plan to distance him from his support and asked him to go to Pakistan to undertake the mission of freedom for the Pashtun nation. Once in Pakistan, the rulers in Afghanistan turned against him and rigged parliament to revoke his nationality. Finding himself betrayed by the Afghan royalty, Habibi launched his political struggle against the ruling class. He started campaigning for a republican form of government, formed a republican group and started his political newspaper Azad Afghanistan. The government of Pakistan, however, became nervous about his political motives which called for the unity and freedom of the Pashtuns. Their intention was to use Habibi to their advantage to silence the voice of the unity among the Pashtuns. Not willing to go against his own people and nation, Habibi was put under house arrest in 1955 and asked to first move to Sahiwal in Punjab and then to Karachi by the Pakistani government with the intention of distancing him from his Pashtun brethren. Having spent several difficult years in Pakistan, during which time he was under constant surveillance by the Pakistani intelligence service, he returned to his homeland in 1961. The circumstances of his return were dramatic and full of uncertainty. Finally in 1961 Habibi and his family returned to Afghanistan after diplomatic relations between the two countries were severed. Even though Habibi had been appointed as the cultural attaché in the Afghan embassy in Karachi in 1960 he was not granted permission to return to his country after the breakup of diplomatic ties. Only after the Pakistani cultural attaché in Kabul, who was the brother of General Ayub Khan, the self-proclaimed President of Pakistan, was detained by Afghan authorities was Habibi allowed to return to his homeland. The late prime minister Maiwandwal, who was the Afghan ambassador in Pakistan, facilitated Habibi’s return to his homeland. When Maiwandwal became the prime minister and formed his own political party, Masawat (Equality), in 1965 he invited Habibi to join the movement. After a lapse of several years Habibi once again engaged in political activity. But during the last years of the Afghan royalty, Habibi and his friends left Masawat due to ideological differences. Following this Habibi abandoned politics and continued with his scholastic work. Habibi was deeply distraught when the leftist Khalq party took over the reigns of power in 1978. The mere thought of a communist government in power deteriorated his ailing heart condition and he devoted his time to his writings and research. The leftists in power tried to politically exploit him but he remained steadfast and did not cooperate with them. Once when he was compelled to attend the first meeting of the Fatherhood Front, as the central committee was conducting a rogue voting session, Habibi was the only person in the hall to raise his hand against the faux Fatherhood Front. Habibi left this unscrupulous Front and was ready to defend his nationalist cause at any cost. As a result of his negative vote the communist government, which was in total control of the media, did not broadcast the voting on TV but took no action against him, perhaps because of his celebrity or his age. However, he was not allowed to leave the country for medical treatment which he badly needed. Habibi was of medium build and in the later years of life his hair had turned grey. He did not grow his hair more than an inch. His eyes were inquisitive and his forehead broad. Even though he was over 70 years of age, during the later years of his life, his face only had a few wrinkles. He could hear very well until his death and his memory was sharp despite his age. His long distance sight was normal but he needed reading glasses. Habibi led a simple life and wore simple clothes and was not flamboyant in his lifestyle. He wore a suit to work but at home he dressed in Afghan clothes and wrapped himself in a woolen shawl during the cold weather. His demeanor was mild, his discourse was elegant and his sense of intellectual humor sharp. He often talked about historical events or his own eye witness experiences. As a lettered intellectual one learned a great deal from his articulation. His memory was acute and he could relate to events in his life with sublime detail. He was a strict administrator but was very cordial, friendly and faithful in his encounters with others. He himself greeted guests at his house, poured tea for them and at the time of departure he would accompany them to the door of the house. He took an hourly nap every afternoon and walked for an hour on a daily basis. He spent a long time in his study researching and writing. Sometimes he would be awake until the middle of the night immersed in his writing and research. During the last days of his life he often said just reading did not preoccupy him and he had to write something. Even in ill-health he sat behind his desk and continued working on his books and articles. His poetic interest continued until the end of his life. He loved delicate things and always carried an attractive set of praying beads. He kept exquisite books in his bookshelves as a showcase. He had a great affection for a full moon and often said when it snows during a full moon he has the desire to go for a walk. Habibi suffered from coronary artery disease which surfaced when he was in his fifties. With proper treatment his condition remained stable for two decades but the 1978 bloody coup d’etat of the Khalq party resulted in a great deal of anxiety and stress and his health started to deteriorate. His political and historical perspective made it clear to him what would happen in Afghanistan in the future years. It was this uneasiness which deteriorated his condition and medical intervention did not improve his health. He would come under heart attacks and would say he neither has the will to run nor the strength to shoulder such unbearable atrocity imposed on the people of Afghanistan. He passed away on the 9th of May 1984 as a result of a heart attack at four o’clock in the afternoon. On this day a great learned personality, scholar, a genius of the Pashtun nation, researcher and writer, Professor Abdul Hai Habibi, left this world. His death left a void in the scholastic and literary circle of the country. This great scholar who had trained hundreds of students during his lifetime left the world at the age of 74. Teacher in the primary schools of Kandahar, 1925 to 1927. Deputy editor of Tuloo-e Afghan newspaper,1927 to 1931. Editor of Tuloo-e Afghan,1931 to 1940. President of Pashto Academy (Pashto Tolana) in Kabul, 1940 to 1941 (at the same time he served as the deputy president of the Department of Publications). Advisor to the Education Ministry in Kabul,1941 to 1944. Chairman of the first College of Letters of Kabul University, and president of the Pashto Academy and professor of history of Pashto literature, 1944 to 1946. President of the Education Department of Kandahar, 1946 to 1947. Commercial attaché in Quetta, Baluchistan, 1947. Elected representative of the people of Kandahar during the 7th session of the national parliament in Kabul,1948 to 1951. Residence in Pakistan, 1951 to 1962. Return to the homeland in 1962 and continuation of academic work in Kabul. Received the title of professor from Kabul University in 1965. President of Afghan Historical Society, 1966 to 1971. Advisor on cultural affairs to the prime minister, 1972 to 1973. 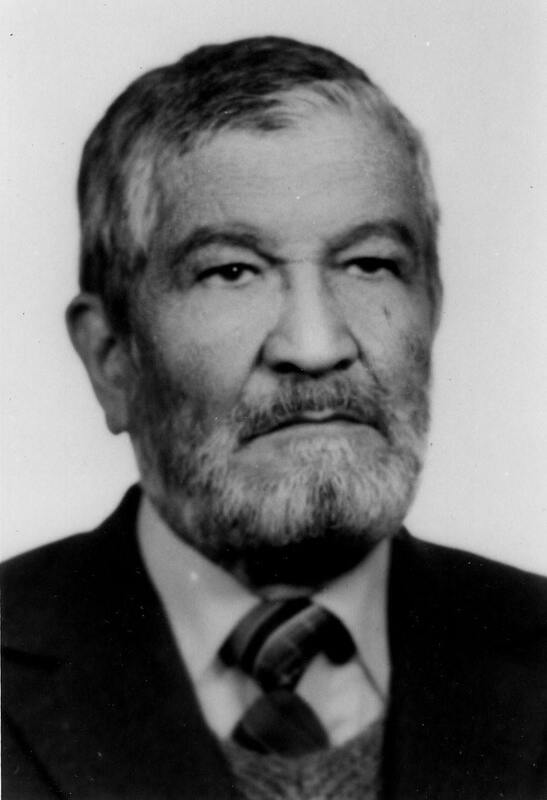 Professor of literature and history, Kabul University, 1970 to 1977. Advisor to the Ministry of Information and Culture, 1978 to 1982.